Airtime is a new app that enables you to video chat and share in real time with friends or potential friends. It was created by Napster founder Sean Parker along with Shawn Fanning. When you click on the Airtime.com page it asks for permission to share your personal information along with your friends. It's a bit daunting giving an app that much control. I've passed for now, but will wait to see if there are any ramifications. 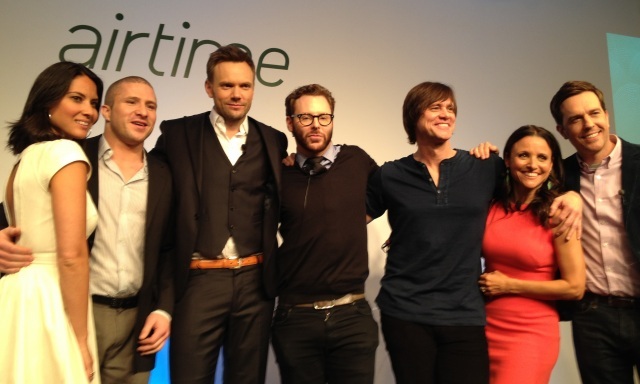 Along with Sean Parker, Jim Carrey and Julia Louis-Dreyfus attended the launch party.